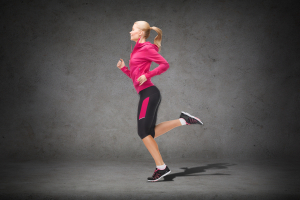 Are Runners Prone to Knee Arthritis? The question that I often get from runners in my practice is whether or not running increases or decreases risk of getting knee arthritis. Researchers analyzed data from more than 2,600 people who provided information about the three most common types of physical activity they did at different times in their lives. Among the participants, 29 percent said they were runners at some point in their lives. Runners, no matter what the age when they were active runners, had knee pain less often than people who didn’t run, according to the study. They also had fewer symptoms and evidence of knee arthritis than non-runners did, the researchers found. You can find the full article below. Also, if you are experiencing pain in the knees from running, walking or jogging please contact Dr. Nadimi for an evaluation at (203) 441-4371.